Railpictures.ca - Richard Hart Photo: CP 8767 leads a westbound Intermodal across the CN bridge at Cisco. This bridge suffered a devastating fire back in 2011 when all the wooden ties were lost. | Railpictures.ca – Canadian Railway Photography – photographie ferroviaire Canadienne. 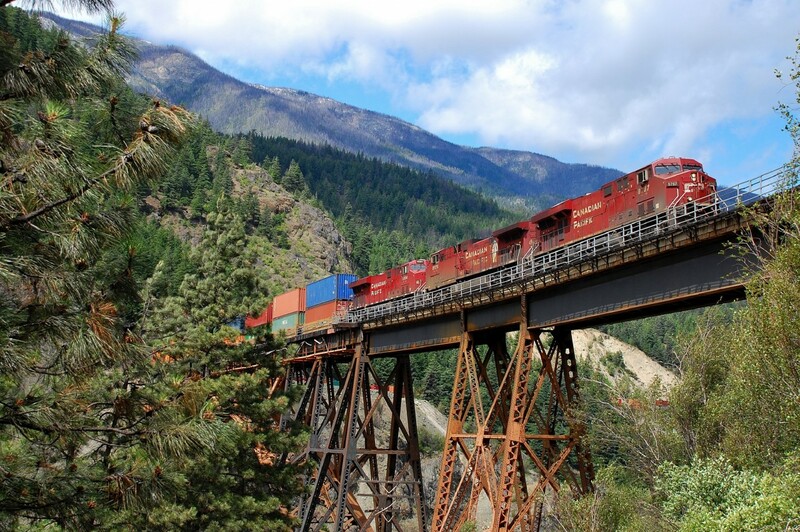 Caption: CP 8767 leads a westbound Intermodal across the CN bridge at Cisco. This bridge suffered a devastating fire back in 2011 when all the wooden ties were lost. Thanks Peter and good luck with the modelling! When I build my model railway it is going to look exactly like this! Wonderful image!